Animation: Embrace the Tree from Yi Quan applied to Push Hands (Tui Shou) application. Yiquan (Mind Intent Boxing) has always been an integral part of both external and internal Kung Fu, and it was once the name of Xing Yi Quan (Form and Will Boxing). Over the years, Yi Quan has often been left out of the equation not only in Xing Yi Quan but in a host of martial arts. Noted internal kung fu stylist, Wang Xiangzhai (a student of Xingyi teacher Guo Yun Shen) placed Yi Quan at the core of the internal martial arts system he created known as, "Dacheng Kung Fu:" a system based on the core principles (and less on the forms) of the internal martial arts of Xingyiquan, Baguazhang, and Taijiquan. Image: Ju Beng Yi, Guo Ling's disciple, practices healing sounds - a component of Guo Ling Qigong (Chi Kung) developed by Guo Ling. During the Ming and Qing dynasties (1368-1911 A.D.), the concept of Yi Quan training had already become integrated into many types of traditional Chinese Kung Fu. It may have been best known as a core practice of many types of Nei Jia (or, internal shape) Kung Fu. While the term Yi Quan has been applied most often to internal martial styles, it has also been a part of the internal practice that was an element of both Northern and Southern external Kung Fu systems. The idea that Yi Quan was only a part of internal martial styles or that it was developed later in the 1950’s or 1960’s in the last century ignores the internal, meditative, practice of many styles of traditional Kung Fu. This practice has been a part of both Northern and Southern styles and the practice spans both external and internal styles of kung fu. If one has to point to a single major kung fu style where the traditions of Yi Quan practice reside most nearly at the heart of the system, it is Xingyiquan (Form and Will Boxing). In fact, an early name for Xingyiquan was Yi Quan. If there is now a distinct practice of Yi Quan that is completely separate from Xingyiquan, it is an indication that traditional Xingyiquan is being lost and what is now being taught as Xingyiquan is separated from the roots of the system. What we see more and more today in both arts is a further separation from the roots: the intent of the originators can no longer be recognized. To the extent that standing meditation is a practice that spans many traditional kung fu styles, removing Yiquan practice indicates a failure to pass on these styles: this is particularly true of internal or Nei Jia styles of kung fu. Notice that the idea of "empty force" is not anywhere on the list of the seven stages of Yi Quan practice. Some practitioners possess a lightness or deftness of touch; these practitioners use much less force in all phases of the martial interactions from push hands to fighting. Both inside and outside of China, the term "empty force" is only loosely defined, and it has been used to describe everything from those who are light and undetectable to those who wave their hands and seduce the gullible. What is well defined in Yi Quan is the concept of Wuji, which is manifested in both seeking equality of the visceral components and Taiji, or harmonizing opposites. Ma Yueh Liang practicing Zhanzhuang. Yi Quan practice has a long history in many types of Chinese Martial Arts, both internal and external. Yi Quan has been a core practice in a number of styles. The Chinese internal martial arts are also known as Nei Jia (or, internal shape) Kung Fu. The external martial arts are also known as Wai Jia (or, external shape) Kung Fu. Xing Yi Quan (or "Form and Will Boxing") was based on the combination of Xing ("Form") and Yi("Will") to create a Quan ("Fist" - or boxing style), and to this day authentic Xing Yi Quan continues to have Yi Quan practice at its core. Yi Quan was originally developed from the San Cai Shi (or, San Ti Shi) as a standing pole posture that students stand in between practicing Xingyi's various sets. However, even this practice seems to have been left out of Xingyiquan systems that have focused on more external boxing practices. Even the practice forms can be done in such a way that the internal aspects of the art are devalued or even left out completely as well. These internal aspects do not only involve the meditative aspects of the art but also the sensitivity training methods such as push hands practice, which is the foundation for the sophisticated development of grappling and related skills (that are sometimes devalued in external striking methods). The history is that Kung Fu has often been plagued by mysticism and claims of miraculous events. The closely held styles of kung fu fostered legends as they shunned outsiders. For those insiders taught complete systems which practiced internal development, either as their core practice or to supplement external development, the path was clear. The term "Kung Fu" itself means “hard work.” They accepted the path of patient cultivation as a manifestation of "Yi" or "Will." The art of Kung Fu becomes accessible to individuals who have integrated “Yi" (Will) into their "Quan" (Fist or boxing style) and the practice of Yi Quan is a either a core practice or foundational exercise. To attain the Wuji, or Void, the idea of completely emptying is nonsense. While you can slow your pulse from pounding, you can’t stop it completely. While you can calm your breath from being heavy and achieve breath that is light and even, you can’t stop breathing completely. What I have learned, is that Wuji is an undifferentiated state: there is no preference between left and right, top and bottom, front and back, and inside and outside. Most importantly, Wuji is a state of undifferentiated balance that is achieved through non-action -- or the least amount of effort. This is distinct from the differentiated balance of Yin and Yang, (although it is easier to find the balance between Yin and Yang in your practice after you have found Wuji). From the state of Wuji, the first thing to do in Yi Quan is to find the still point. This can often be found about three fingers width below the navel and in the center of the body. This point (the center of the Lower Dantian) is the center of emphasis in Sitting or Standing Meditation. Locating this still point can be tricky in the beginning. You don’t want to concentrate too heavily on the idea. The way to locate it is with patience and acceptance: taking time and exploring the senses without second-guessing if the sense is real or unreal. Relax your breaths and slow your pulse until you find stillness within motion and vice-a-versa. The above animation illustrates some applications of San Cai in Push Hands. There are many examples of the application of “fajing” or explosive force. The most familiar examples might be found in the Japanese practice of Kendo. The picture of someone wearing protective gear and standing still with a wooden practice sword in an overhead posture waiting for precisely the right moment to strike explosively is apt. Explosive force or "fajing" can also be found in Chinese internal martial arts, -- and while it contains a component of surprise -- it is also emphasizes a high level of subtlety. This is such a key point that striking is usually not taught until aspects of these subtleties are comprehensively mastered. The reason for this approach can be found in watching practitioners who can issue fajing ("explosive force") without overt preparation from any posture and within the context of any situation. Skilled practitioners often vary greatly in how they issue fajing each time they practice forms or joint hands practice. The use of fajing actually requires little or no emphasis on force itself: instead the emphasis is on explosiveness. That is, the skill of the practitioner to move explosively without overt preparation is a development built on the foundation of the fine adjustments made to their body by the practitioner during the practice of meditation. Advanced practitioners are able to release their energy, or qi ( “chi),” in a variety of ways that are experienced as anything from a breeze-like movement to an eruption. Martially, the idea is to maximize "explosiveness" instead of "force" and to do so in a way that does not telegraph the action to the opponent. To achieve this, concentrate on lightness, relaxation, and softness. Some of the Yi Quan standing postures use fajing training to allow the qi to expand and circulate. In the context of standing the feeling of ease and softness on the outside and flexibility ought to be sought. Alternatively, if fajing is done with force or weight-shifting tricks, employing “fajing” will be an external and not an internal practice. Tricks and an emphasis on heaviness in force ("gan" hard or inflexible force) ought to be avoided. Weight shifting might be introduced to give beginners a “feel” or experience certain aspects of the practice, but the point is to use "rou" (soft agile) force and not "gan" (hard inflexible) force. Softness is ultimately the key. Softness leads the practitioner to use less force to produce more results. The foundation of the philosophical emphasis in Yi Quan practice is to yield to overcome and this is achieved - without tricks - through employing softness. Wang Xiangzhai is often mistakenly credited with fathering Yi Quan. While he undeniably was a major exponent, Wang Xiangzhai did not father the practice of Yi Quan. He did father a no-nonsense approach to internal martial arts called, “Dachengquan” which is a complete Nei Jia Kung Fu system that combines aspects of Taiji, Xingyi, Bagua and includes Yi Quan practice. This art has sometimes also been called “Yi Quan,” but that is already the name of an older underlying practice method that runs through most of Chinese Internal kung fu. Yi Quan is also known as Standing Pile Stance Kung. An example of Wang Xiangzhai’s genius was to place Yi Quan at the foundation of Dachengquan. Wang Xiangzhai chose this as the beginning of his core practice. He did this in the 1950’s and 1960’s when core traditional Chinese internal martial arts practices were being replaced with an over-emphasis on forms, gymnastics and external boxing methods. Taijiquan, Xingyiquan, and Baguazhang were diffusing steadily and becoming both more popular and more accessible to the general public. This in turn led to many examples of watering down of a style or faulty transmissions of the art from teacher to student. A consequence was that these arts were losing their essence and being remade into "Taiji slow dance," "Xingyi external karate," and "Bagua gymnastic floor exercise." Wang Xiangzhai put the core traditional practice back at the center of his martial art. Chen Jie Feng in seated meditation. It is interesting that from the time Wang Xiangzhai left Shanghai until he settled in Beijing, Wang de-emphasized more formal Xingyiquan practice and developed his Dachengquan with an emphasis on Yi Quan, two person practice, and free sparring. Some of Wang Xiangzhai’s students and grand-students that remained in Shanghai still practice Xingyiquan to this day as well as Wang Xiangzhai's “Yi Quan:” They maintain that the art they were taught has the integrity of the original practice. Why did Wang Xiangzhai make the change? Perhaps Wang became fed up with what he saw as the disintegration of the true internal practice. Examples of this disintegration include the introduction of the Simplified 24 form Taijiquan; the over-reliance on forms and scripted joint-hand methods; demonstrable loss of skill in applications; and failure to achieve spontaneity. In each generation of students, fewer people are able to reach a high level of practice. After his teacher’s passing, Wang traveled all over China to discern what was real and not real in his practice. The story goes that after a great deal of thought and trial and error, Wang developed his Nei Jia system of Dachengquan. This art is based on what he felt were the essential martial practices of Taiji, Xingyi, and Bagua. Why did he introduce a whole new system? While some accounts point to Wang's disillusionment with the state of affairs in popular martial arts, it is my contention that his own personal discovery of the essential core of Nei Jia Kung Fu likely had the most profound effect. In an attempt to make traditional practices more accessible to the general public, “form was chosen over will,” and common sense was left out of the many modern developments. Another example of such a disappearing practice, (like Yi from Xing Yi Quan) was the erasure of ground grappling in traditional Suai Jiao (Chinese Wrestling). There are numerous other examples, which vary from style to style. This loss of transmission of the core aspects of their art can be very frustrating for high level teachers trying to pass the art on to their students, and I suspect this was in Wang Xiangzhai's mind when he made his choices about what he would emphasize (and also what to include and what to leave out). A similar motivation would explain why Sun Lutang made it such a point to emphasize Nei Jia Kung. This was not merely done to join the three main internal arts of Taiji, Xingyi, and Bagua but to highlight the threads that ran through authentic Chinese internal martial arts to maintain their integrity. Throughout the 20th century, this same process of watering down of the internal martial arts has continued in order to make them more commercial and – supposedly – more "accessible” for the general public. Despite the efforts of Wang and others who sought to “raise the bar” against this development, the flood tide of mediocrity seems to still be rising. Perversely, we now have an attempt to make Yi Quan itself more accessible to the public. A mystic “New Age” approach has emerged with the emphasis on a few of the standing postures only. These versions of Yi Quan are simply the “Yi” without the “Quan.” This separation of “Yi” from Yi Quan is like Yi Quan’s amputation from the Xingyiquan, Dachengquan, or other comprehensive martial arts systems. If Taiji is the successful combination of Yin and Yang within the practitioner (as an empty vessel), then standing in individual postures is a valid approach to recognizing and balancing, or combining Yin and Yang. 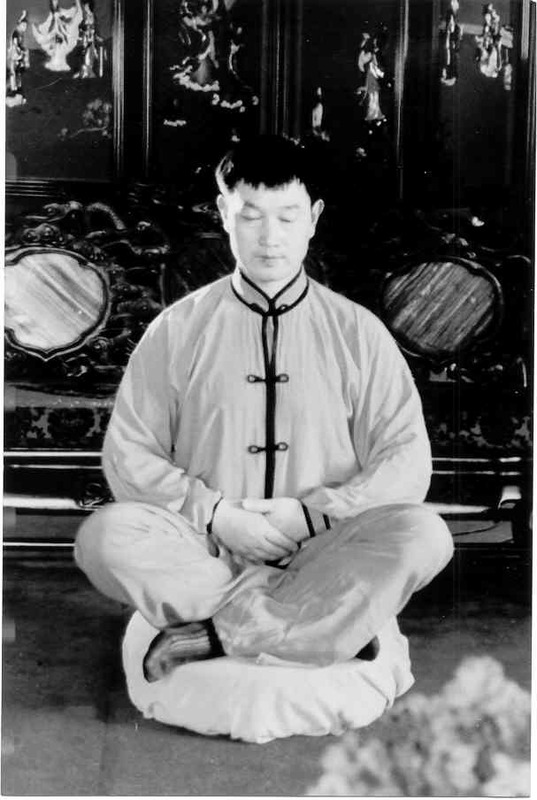 Legend has it that Yang Luchuan practiced standing meditation but it is not clear where he picked up this practice method or what he may have practiced. The Yi Quan practice of Yang Style is all but lost within the most widely practiced versions. One of the less widely practiced styles of Taijiquan is said to approach their “form” by standing in one posture facing an arbitrary direction and proceeding with a smooth slow transition to a random posture facing another random direction. In this approach, standing meditation is not just a supplemental practice to Taiji, but Taiji itself. This would seem to suggest then that Taiji, or Yin and Yang can be achieved by standing still or by practicing Yi Quan. Additionally, Baguazhang is very often now presented in a way that completely loses connection with the stillness that standing practice is intended to teach. Xingyiquan has become divorced enough from standing practice that Yi Quan has been split off into a separate style. Because of this, even Dachengquan – despite its integrity – is being lost. The modern versions of Taiji, Bagua and Xingyi obliterate the central notion of seeking and finding stillness in your own natural movements. That’s the fundamental key to Yi Quan’s practice: stillness is selected over any external movement. When properly practiced, this approach helps guide one to find motion in stillness and stillness in motion: this is a foundational concept of Chinese Internal martial arts: yang within yin and yin within yang. Any movement other than relaxing is perceived as an external force that can potentially be exploited by an opponent. 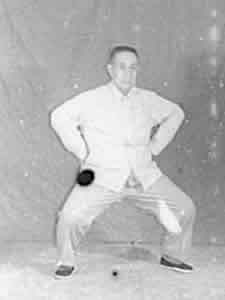 This is why Guo Yunshen – Wang Xiangzhai’s teacher – and other Xingyiquan practitioners of Guo’s generation such as Liu Qi Lan practiced Xingyi in a slow, deliberate manner, stood in the San Cai (San Ti) posture, and practiced the traditional standing postures that have become known as Yi Quan at the core of their Xingyi practice. In this same spirit, the serious practitioner of Xingyiquan and Yi Quan might want to consider following the traditional core practices to better develop a deeper understanding of the "nuts and bolts" of the art they are studying. In short it is my contention that, without the Yi (will) in Xingyiquan you don't have Xingyiquan. And without the Quan (fist) in Yi Quan you don’t have Yi Quan. It is useful to have some exposure to traditional Hebei or Henan style Xingyiquan or to Wang Xiangzhai’s own art of Dachengquan if you want to develop the art now being called Yi Quan. In this way the practitioner can begin to challenge their own will in a specific, idiosyncratic and very functional way to glean a greater understanding of what is possible. By cultivating both the outside shape and the internal principles from these arts, another path to combining Yin and Yang may be realized.